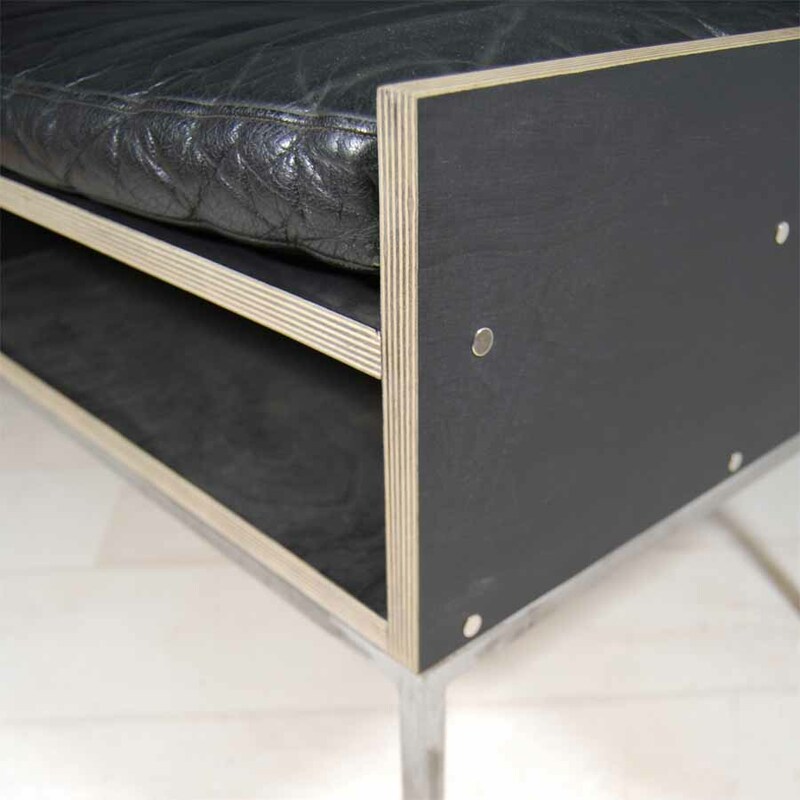 Built around a vintage leather Danish ottoman cushion, the seat is constructed from18mm birch plywood with a thin black glaze. 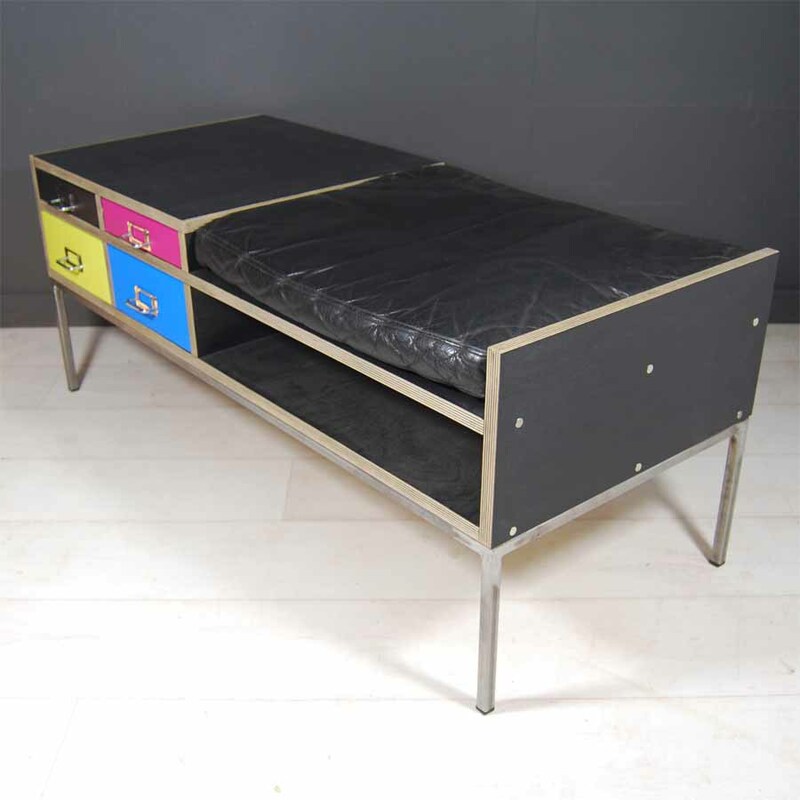 The old metal drawers were rescued from the studio of an iconic London graphic design practice, hence the decision to spray them in the four colour printing process colours CMYK. Would make an ideal hallway telephone seat/key tidy etc. 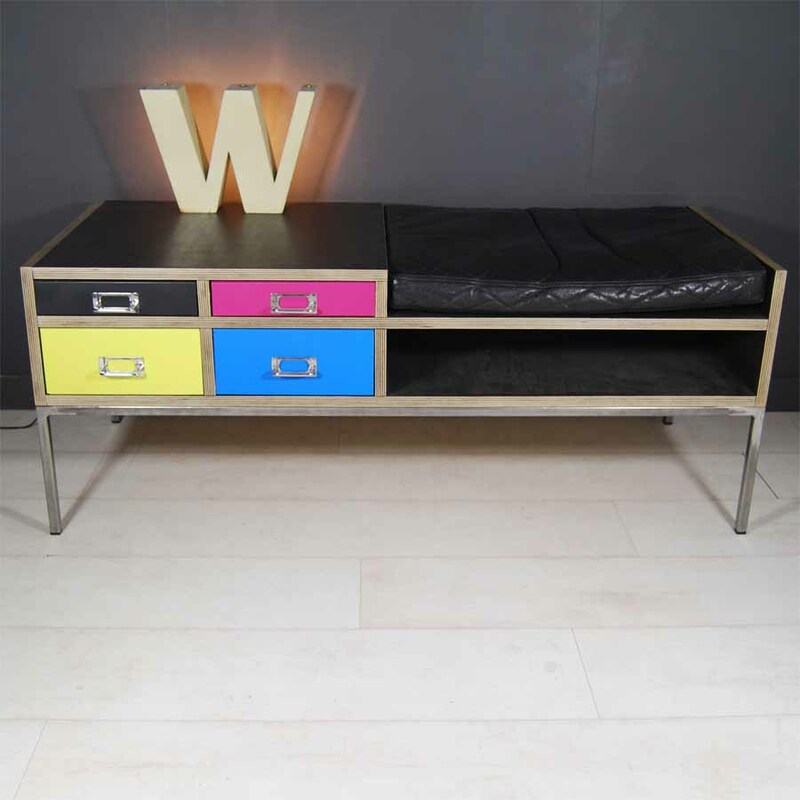 15mm tubular steel base/legs.